John N. Wall, Department of English, NC State University, has been Principal Investigator. The Virtual Paul’s Cross Project is the result of a great deal of work by an exceptionally talented, dedicated, creative, and hard-working group of people. 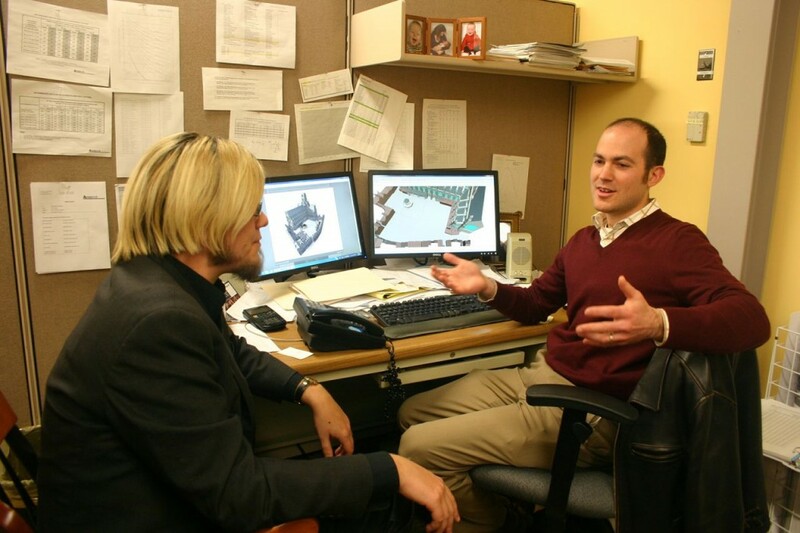 David Hill, Associate Professor in the School of Architecture, NC State University, supervised the construction of the visual model, the website, and the upcoming installation at NC State’s new James B. Hunt Library. John Schofield, Archaeologist, St Paul’s Cathedral, London, author of St Paul’s Before Wren (2011) provided the results of his research into the archeological and architectural history of preFire St Paul’s. The visual model was constructed by Joshua Stephens, graduate student in architecture, NC State University. 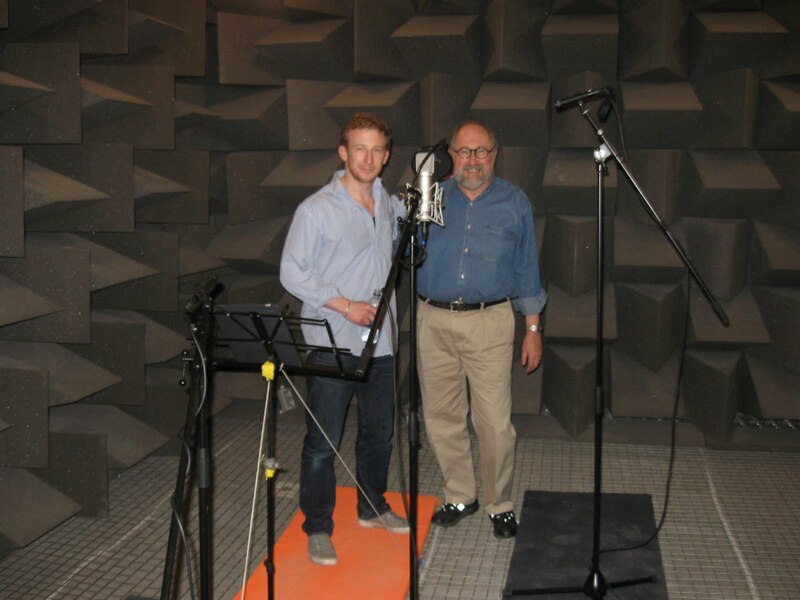 The acoustic model was created by Ben Markham and Matthew Azevedo, acoustic engineers, ACENTECH, Cambridge, MA. The script of John Donne’s sermon for Gunpowder Day, November 5, 1622 in early modern London dialect was prepared by David Crystal, linguist, United Kingdom. The recording of Donne’s sermon was made by Ben Crystal, actor, London, United Kingdom. The recording was made at the anechoic recording studio at Salford University in Manchester, United Kingdom, supervised by Daniel McCaul. 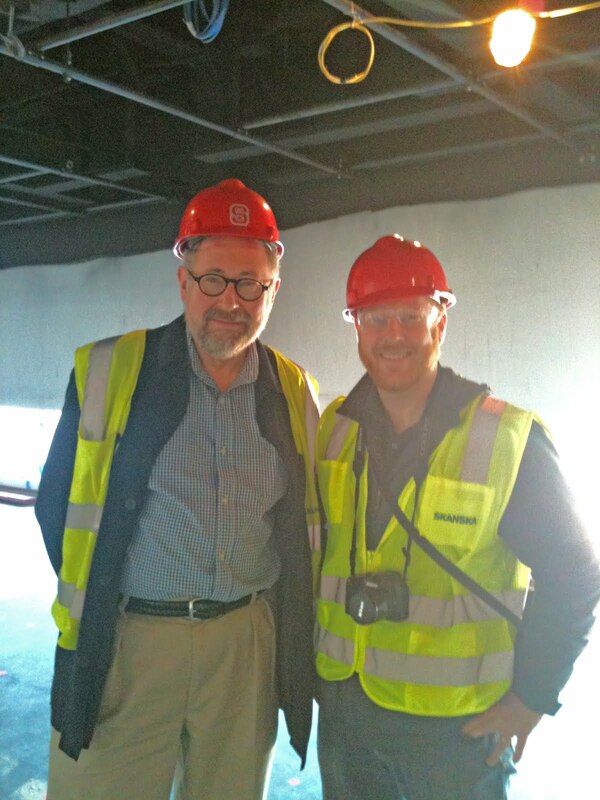 Engineering and technical support was provided by Ian Rattigan and James Massaglia, acoustic engineers. 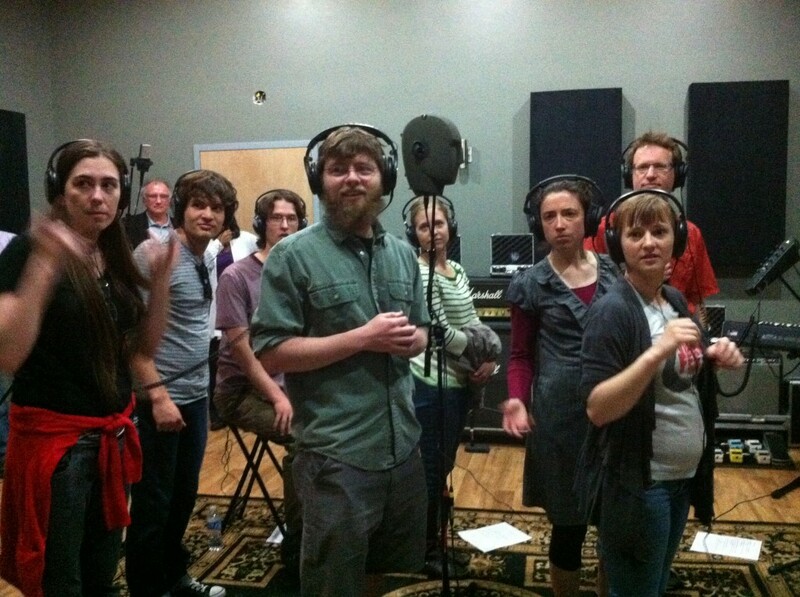 The recording of the crowd was made at Post Pro Studios in Raleigh, NC, with technical support provided by Matthew Horton, acoustic engineer. The part of the crowd was played by members of the faculty in linguistics and their graduate students at NC State University. Important roles in organizing their participation were played by Walt Wolfram, Director of our Linguistics program, and his colleagues Erik Thomas, Robin Dodsworth, and Jeff Mielke. Administrative support for this project was provided by Dr. Thomas Birkland, Associate Dean for Research in the College of Humanities and Social Sciences, assisted by Missy Seate, Director of Research Administration; Paula Braswell, Research Manager; and Joyce Jones Christian, Pre-award Specialist. Additional support was provided by Stephanie McBroom, Program Assistant in the Department of English, NC State University. Special thanks for support and encouragement throughout the course of this project go to Dr. Jeff Braden, Dean, College of Humanities and Social Sciences, and to Marvin Malecha, Dean, College of Design; to Dr. Antony Harrison, Head, Department of English and to Dr. Robin F. Abrams, Head, School of Architecture; and to Susan K. Nutter, Vice Provost and Director of Libraries, all at NC State University.